The Information and Documentation System (IDS) is a project that aims to provide a central source of information on the implementation of the Common European Asylum System (CEAS) in each Member State and Associate Country. In particular, IDS is intended to offer an overview, as much detailed and up-to-date as possible, of the practical functioning of the asylum systems of each EU+ country. In line with the CEAS thematic sections, IDS covers information on: Access to Procedures, Dublin Procedure, First Instance Determination, Second Instance Determination, Reception, Detention, Forms of Protection, Return and, as most recent addition, Resettlement and Humanitarian Admission Schemes. Information on key aspects of the CEAS can be accessed at country as well as at EU level where comparison of practices is available with report tables and thematic overviews. With EASO acting as a central management point for the system, coordinating and updating the content uploaded on the platform, an IDS network of nominated EU+ countries’ representatives has been set up to contribute to the development of the database. Network members validate on a regular basis the information uploaded, thus confirming that the overviews provided on the IDS platform accurately reflect the functioning of each national asylum system in all its key stages. Thus, IDS acts as a reliable and searchable library on asylum procedures in all EU+ countries, allowing users to analyse countries individually and compare those practices across different states. Moreover, accurate descriptions of asylum practices in the 30 EU+ countries are coupled on IDS with relevant information on legislation, statistical data and jurisprudence. National asylum legislations are used as a primary source for the development of the database, and serve as a term of reference for the legal basis of each national asylum system and its reception of the CEAS. 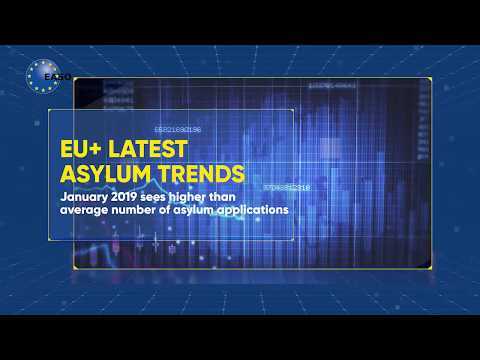 Statistical visualisations, based on Eurostat data, add concrete numbers to the context of asylum systems in each country, providing insights on workloads at national level. Finally, a recently developed case law documentation system registers the most recent jurisprudential developments related to the Common European Asylum System, grouping together relevant case law applied at European as well as national level. Currently, 30 EU+ countries are part of the IDS network. All information provided on the platform is only accessible to national administrations, EASO staff and national experts deployed by EASO in it operational activities.